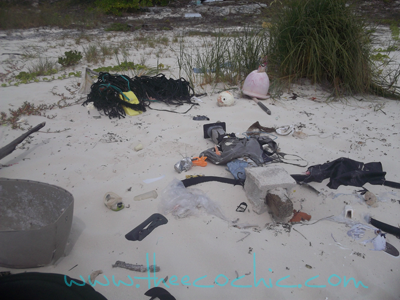 Look around you and tell me how much plastic do you see. 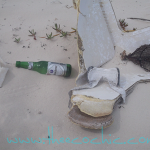 Have you ever considered how harmful plastic is for us and the environment? 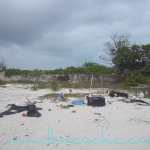 When I first started blogging I followed a few well known eco-bloggers and watched how they made a difference by advocating for change. 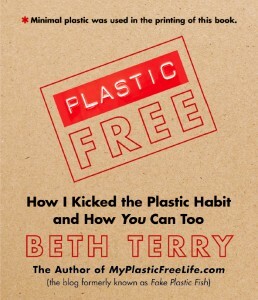 One blogger that I found almost immediately was Beth Terry and her blog Fake Plastic Fish (now known as My Plastic Free Life). 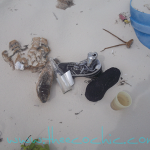 I was intrigued at how anyone could live without plastic. The concept just sounded so overwhelming. Then a few years later I had the pleasure of meeting Beth at BlogHer ’10. We immediately bonded over my resemblance to Uma Thurman and have been friends ever since. 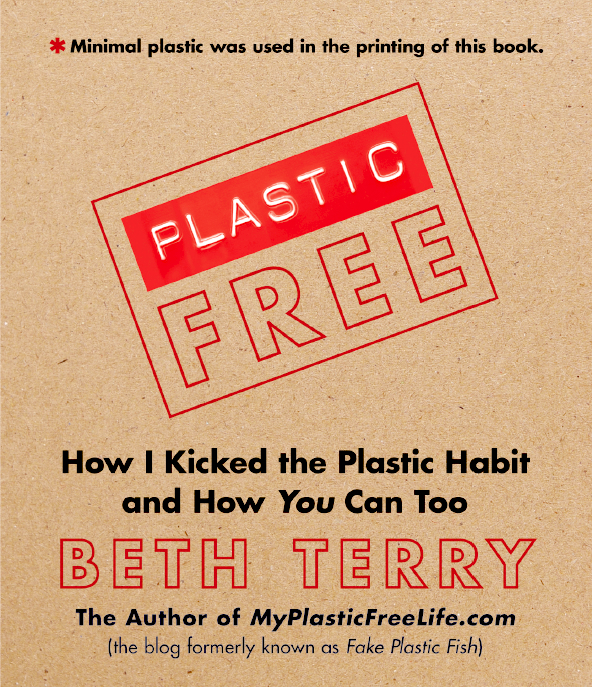 Beth’s personal journey to kick the plastic habit is inspiring and I was beyond excited (and honored) when Beth emailed me one day asking for my input in a book she was working on. Me? She wanted my input on a book about living plastic-free? See, Beth never had children so she doesn’t have much personal experience with diapers and she knew that I was a cloth diaper addict expert. Not long after our correspondence Beth and I had a 3 hour long Skype call so I could show her all the new advancements in the cloth diaper industry. After all, most people still think cloth diapers are pre-folds, pins, and rubber pants. One thing that I acknowledged in our conversation was that even most modern cloth diapers aren’t plastic-free. From the PUL, the thread, the Velcro, the snaps, or the elastic, cloth diapers would probably have made Beth hyperventilate as a mother. 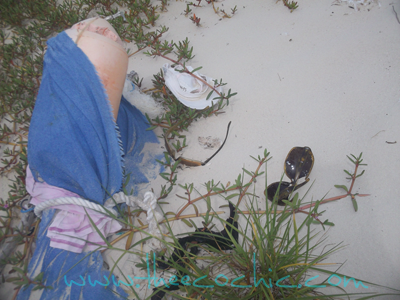 Thankfully there are still a few cloth diapering options that are more eco-friendly and contain minimal plastic (if any). I finally got a chance to read the book (ok, I skimmed it a lot and will finish reading it soon) recently and I’m amazed at how much information Beth shares with us. 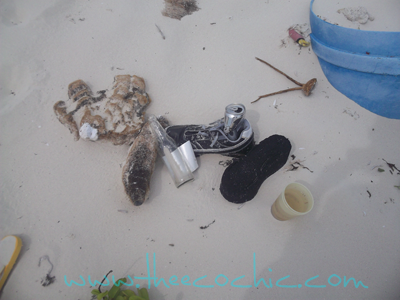 She starts with an introduction where she explains why she began her plastic-free life. 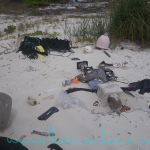 Included in the next ten chapters you learn more about what a plastic really is (a nice chemistry lesson) and she identifies the many areas of our lives that are filled with plastic. It’s not a doom-and-gloom story though, it’s an educational look at the way we live and some simple steps that we can all take to reduce our consumption of disposable plastics. 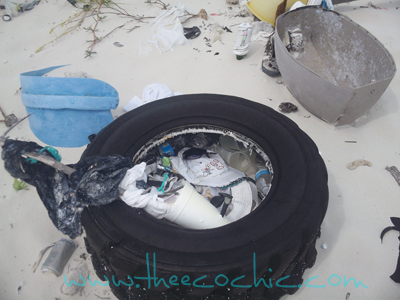 Plastic-Free touches on all aspects of our lives including; the plastic bag, the plastic bottle, why plastic can’t really be recycled, take out containers and packed lunches, grocery shopping (think packaging), personal care & household cleaning, and ends with a few tips on how not to feel so overwhelmed with the information that you just learned. 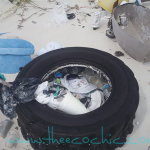 I have never personally taken her Show Your Plastic Challenge where you document all of the plastic items that you would have thrown away in a week (or longer). I’ve thought about it often but I think I’m scared to acknowledge my own wasteful habits. I live a green lifestyle but I’m in now way a green saint. 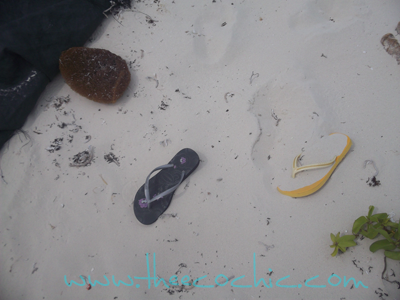 I want to leave you with some pictures that I took on the beach in Turks & Caicos this summer while on vacation. 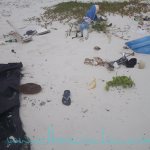 My husband and I went for a walk down the secluded beach one morning and stumbled upon an area where trash had been washed ashore. 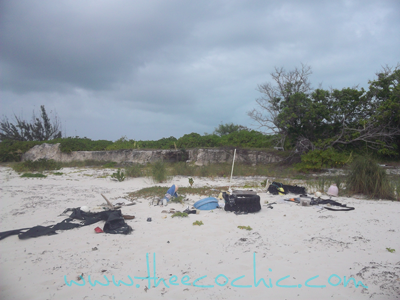 It made me sad to see how a place so beautiful could be impacted by waste from around the globe. 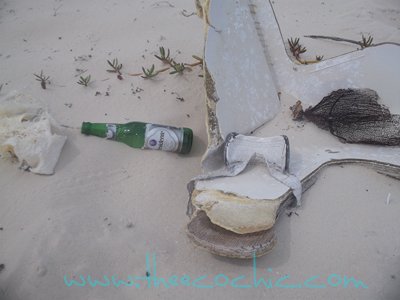 There is no telling how far that trash had come on it’s journey in the Ocean. 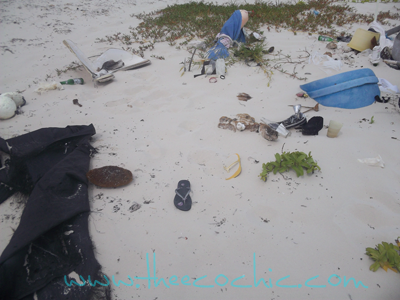 To learn more about what you can do to prevent this type of damage in your town and around the world pick up a copy of Plastic-Free, How I Kicked the Plastic Habit and How You Can Too by Beth Terry. You can also read what others have thought after reading Beth’s book in the Virtual Book Tour. 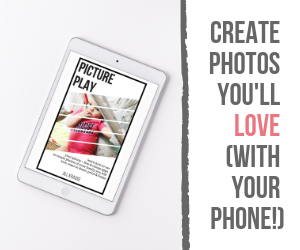 Will you take the Show Your Plastic Challenge with me? 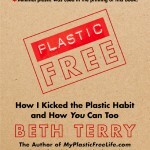 Disclosure: I received a PDF e-version of Plastic-Free by Beth Terry for the purpose of this review. 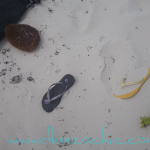 Trials and Tribulations of Cloth Diapering The Perfect Diaper Accessories Cloth Diaper Laundry – An Update Cloth Diapers and Early Potty Training 30 Reasons to Love Cloth Diapers – Diaper Covers, Pre-folds, Flats, and Snappis! You totally do look like Uma Therman. Thanks for this great review! Beth Terry recently posted..Time Sensitive: The Safe Chemicals Act Will Be Voted on Finally!